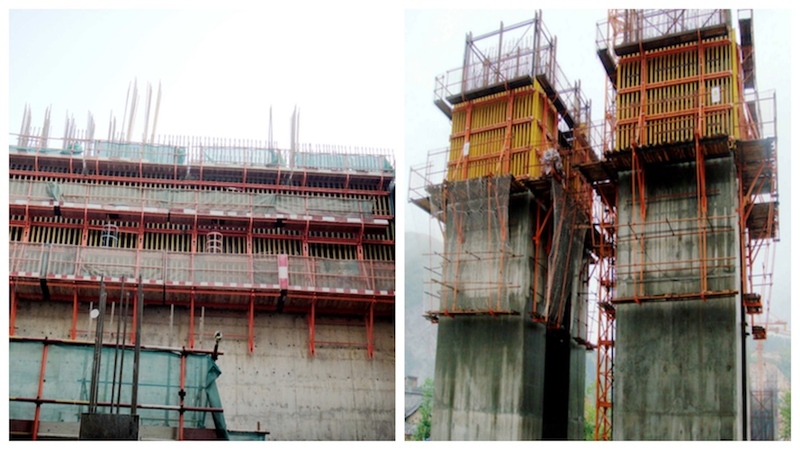 -Providing safe working conditions with wall formwork at all heights. The well thought-out design combines easy handling with a fast-moving procedure and problem-free adjustment to suit different building shapes. It's extremely easy to set up and can be tailored to meet a wide range of different requirements. 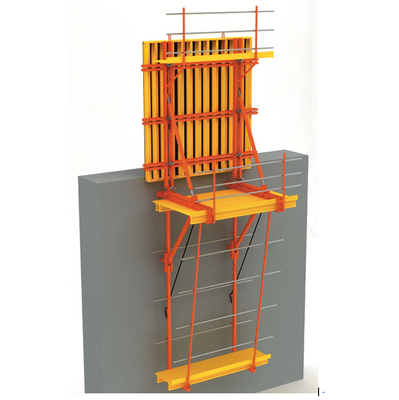 High loading capacity of the brackets allows the formation of large scaffold units. Wide work-platforms with plenty of space for fast, safe working. Completely free of tripping hazards in front of and behind the formwork because of the wind bracing. It is a crane-lift climbing formwork for structures of any shape and inclination. By turning pressure, spindles, the climbing formwork CB240 & CB180 can be perfectly accommodated to structures whose inclination varies from one-cycle to next.